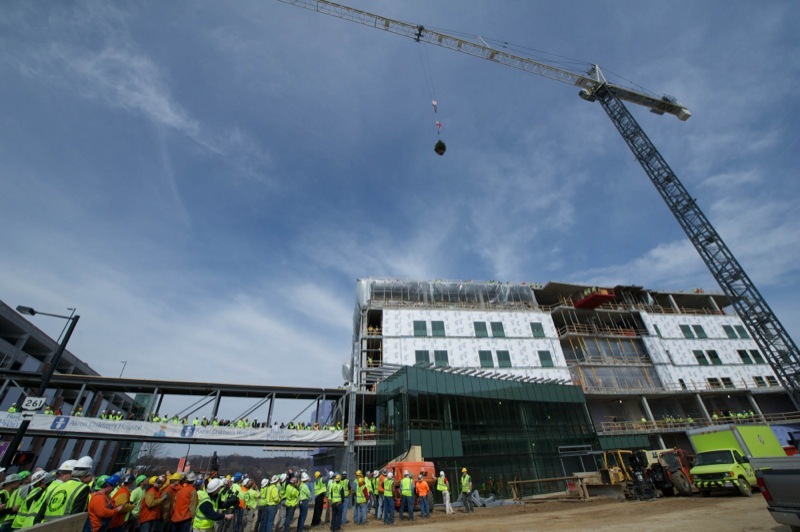 Akron Children’s Hospital joined Welty Building and Boldt companies on April 2 to celebrate the topping out of the new 368,735-square-foot, 7-story medical tower. Despite challenges imposed by this year’s weather, the project is currently ahead of schedule. The $200 million campus expansion has been constructed using a non-traditional approach called integrated project delivery (IPD). This approach seeks input from everyone involved in the project – including patient families and staff – before anything is designed. In addition, contractors are hired at the start of the project and work together through all aspects of the project as a united team. This was never more apparent than this winter. 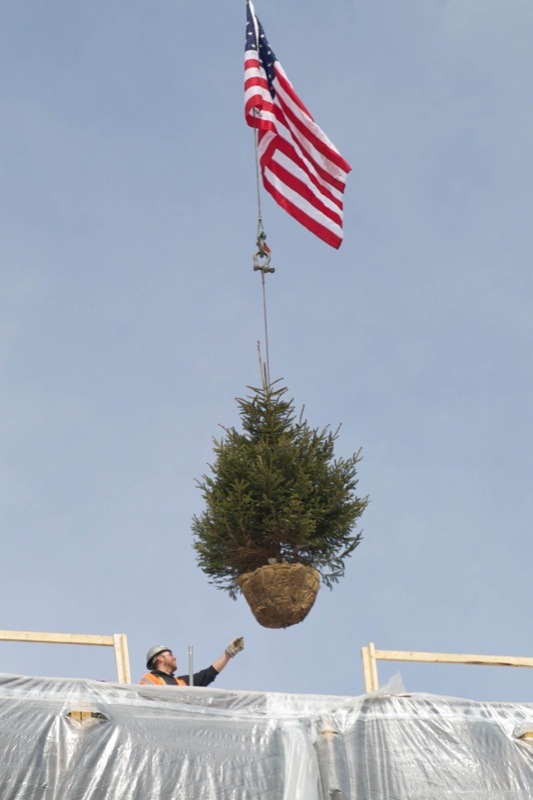 For each day the project is completed early, the hospital saves about $7,500. 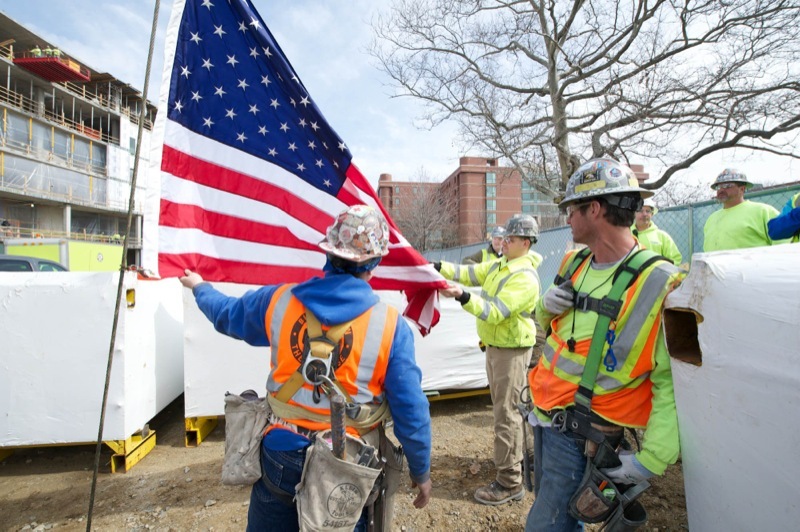 As the structure team handed over finishing work to the interior teams, the various teams and hospital leaders celebrated the magnitude of the job. The new tower will be connected to the existing hospital in February 2015 and will be open to patients later next spring.